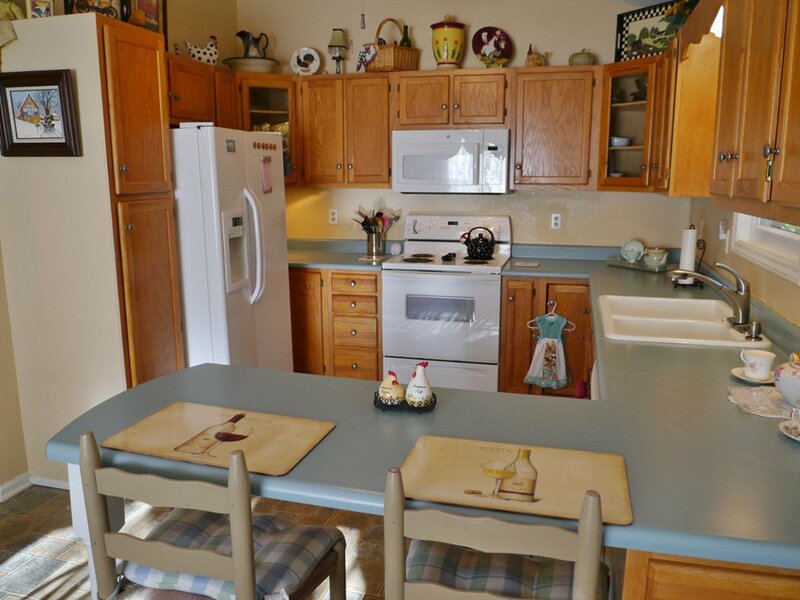 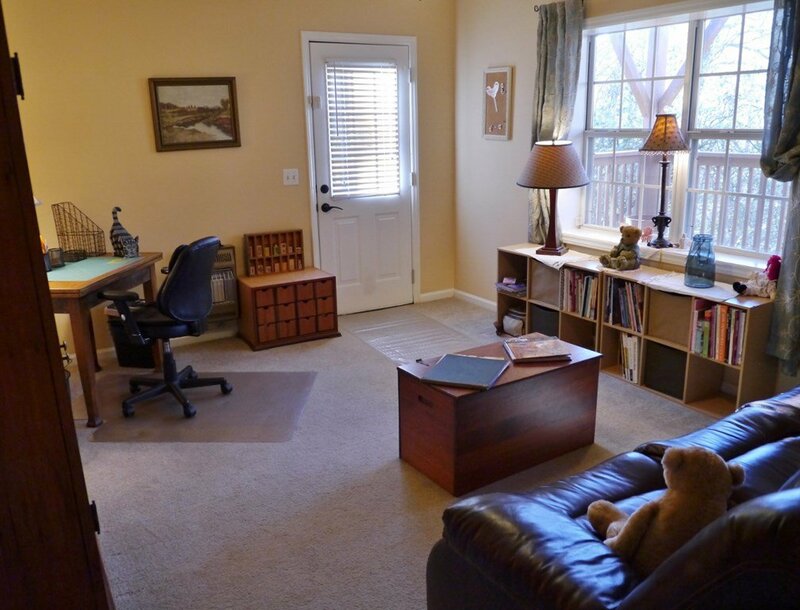 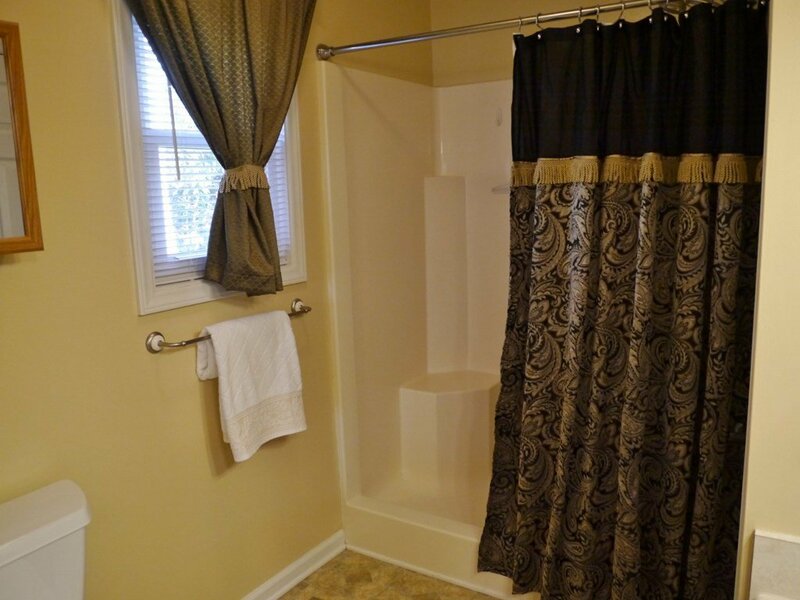 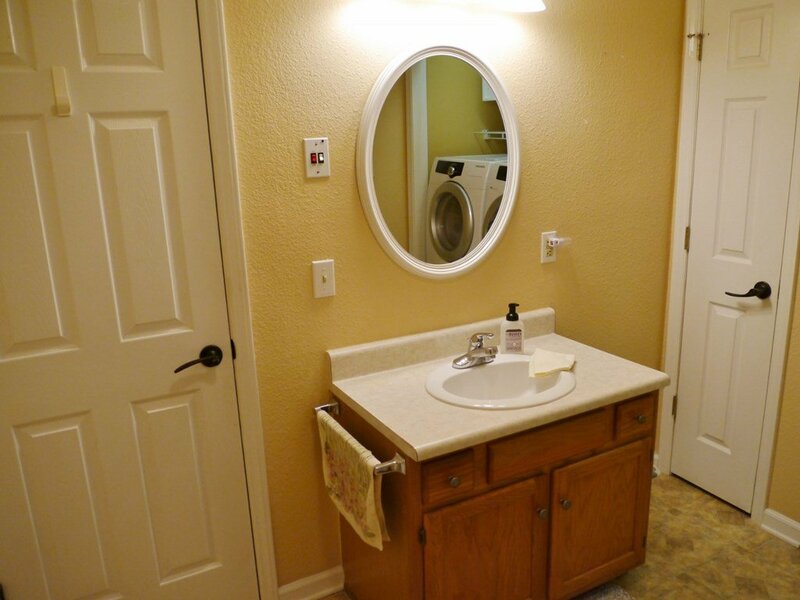 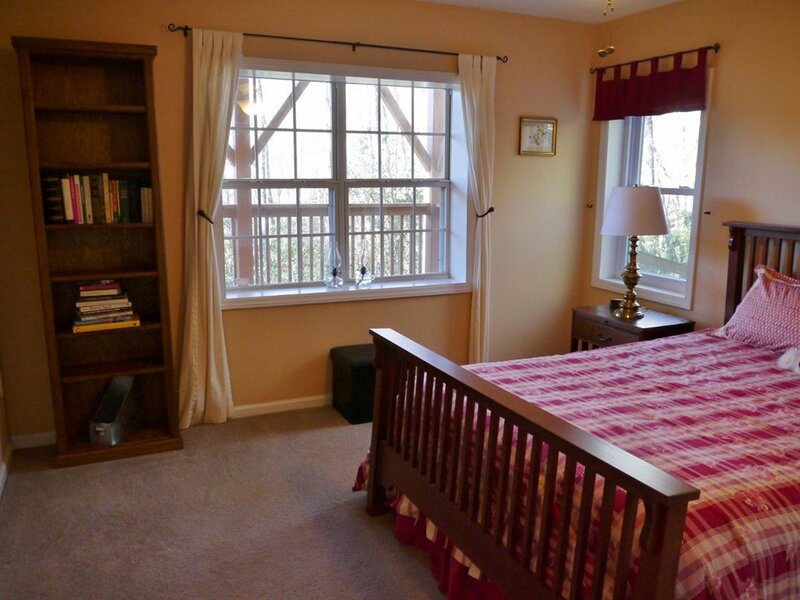 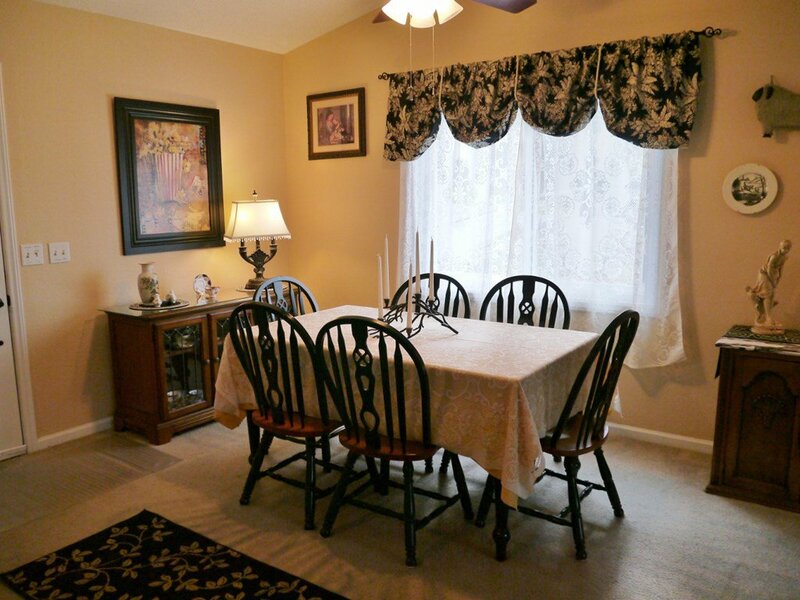 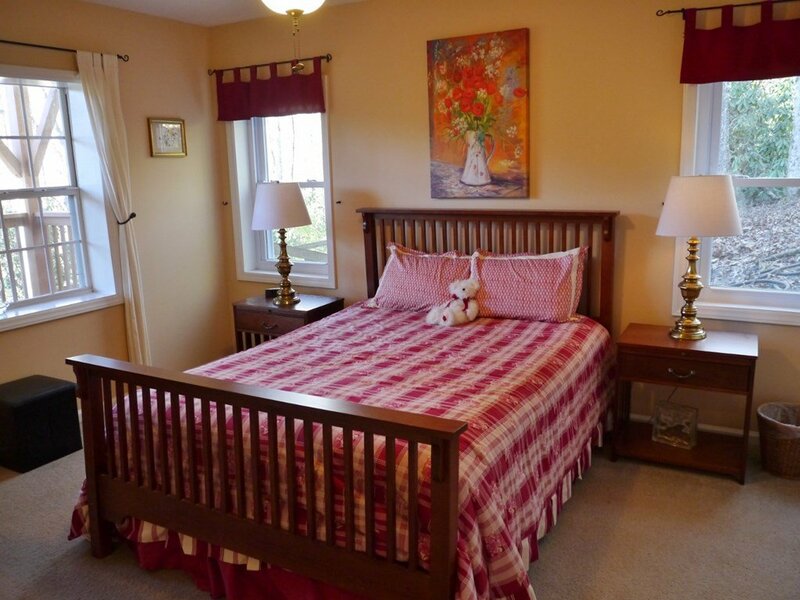 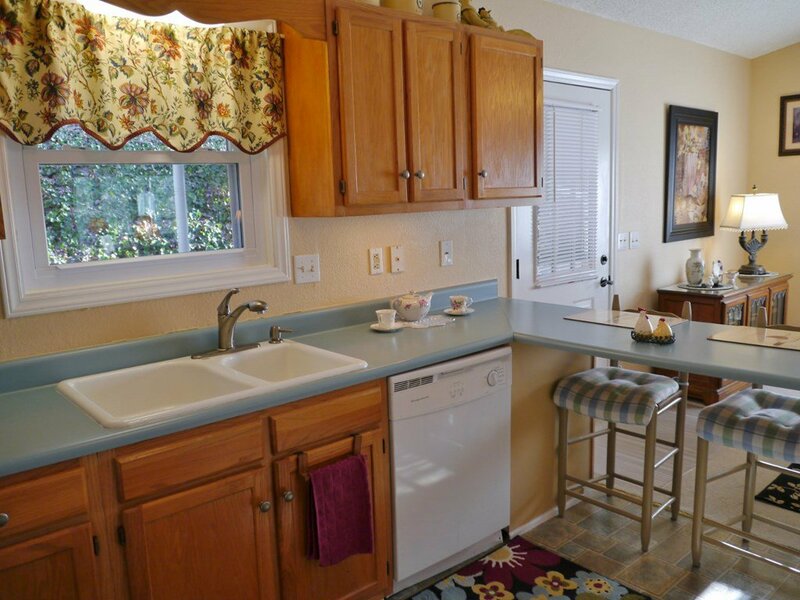 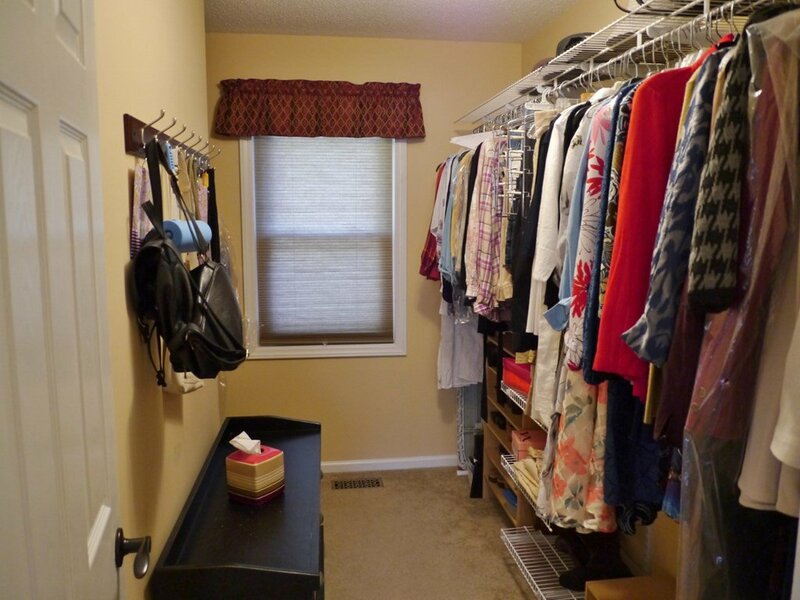 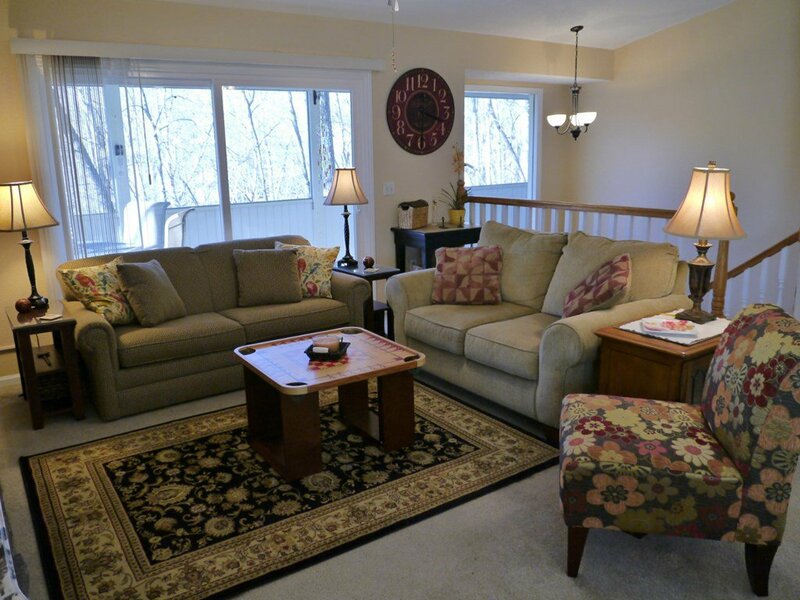 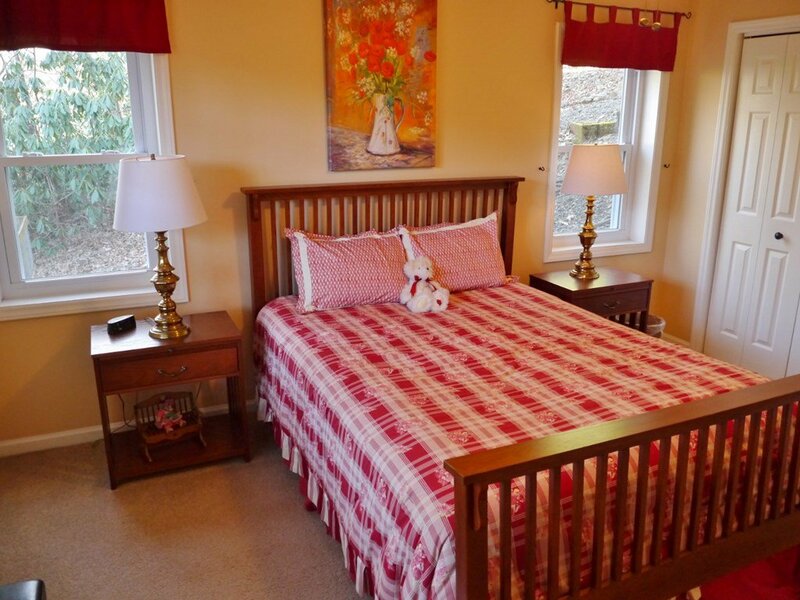 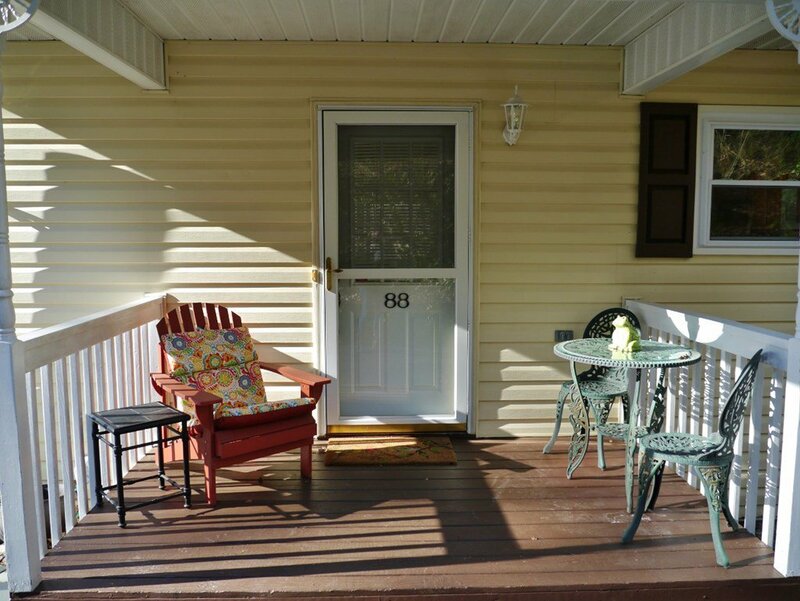 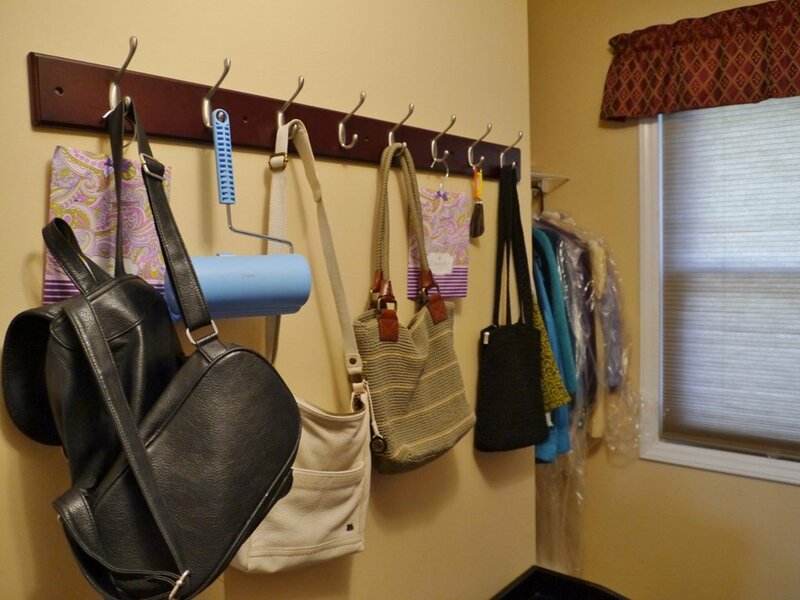 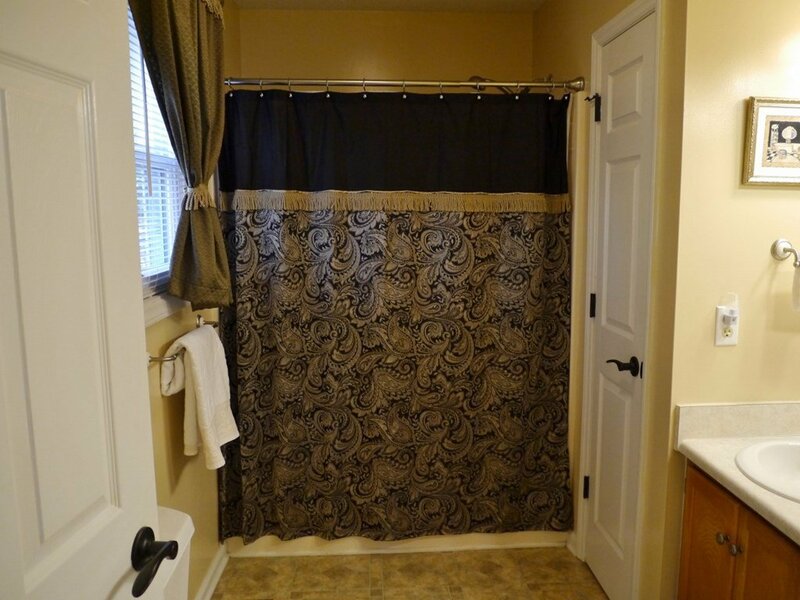 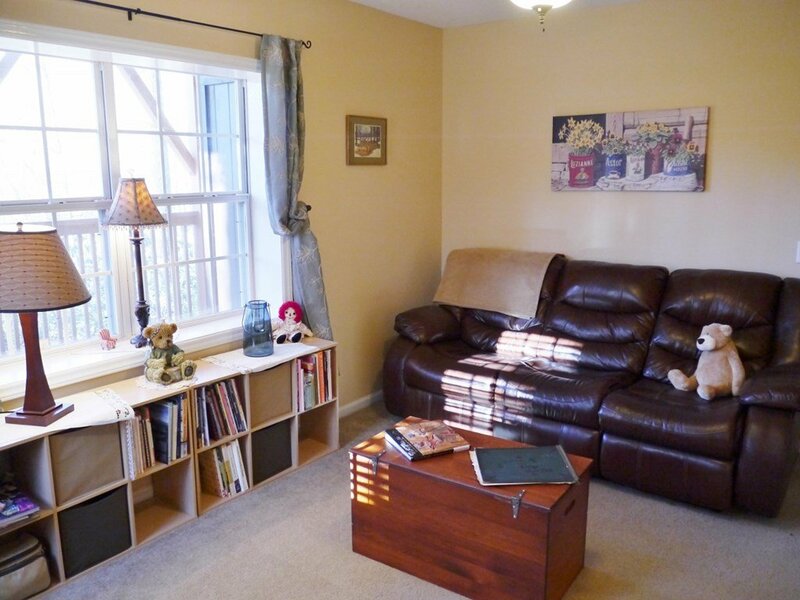 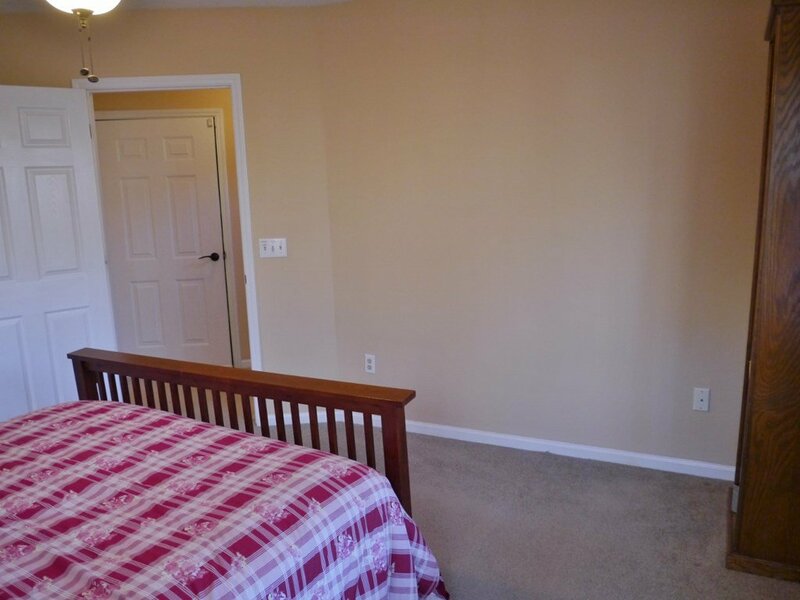 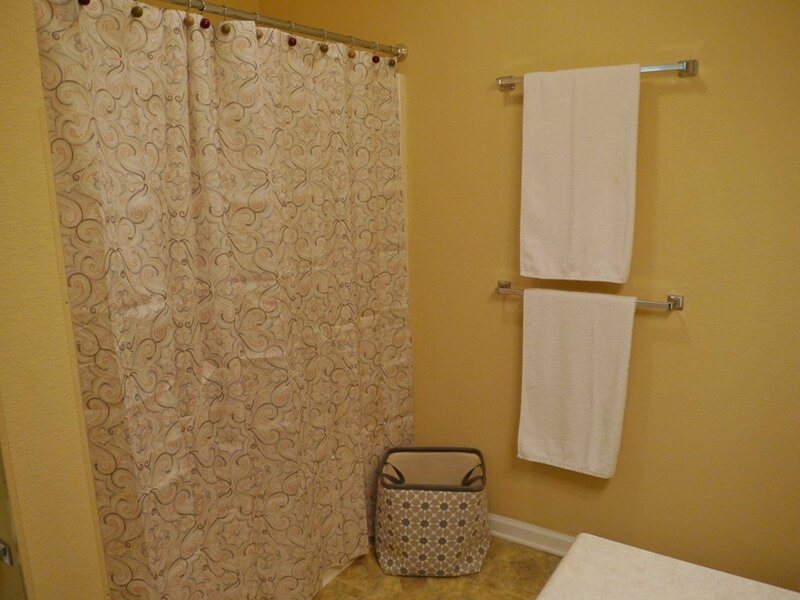 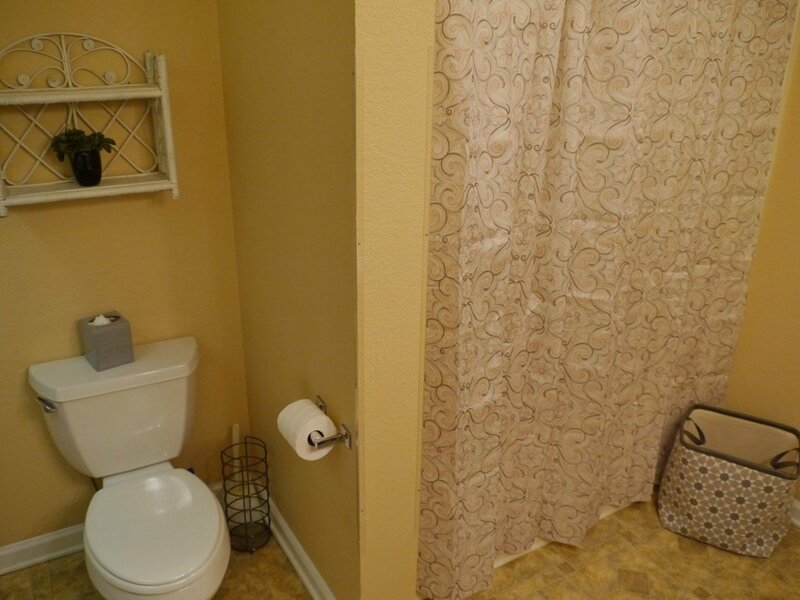 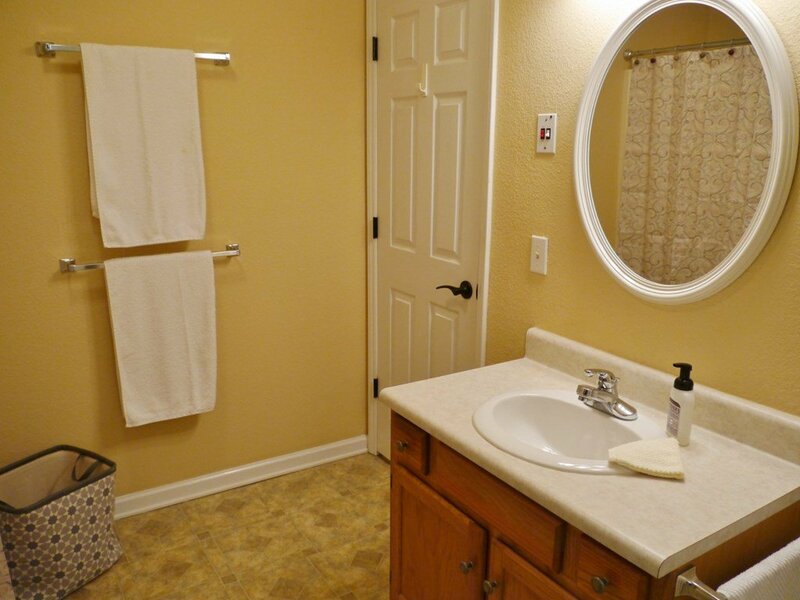 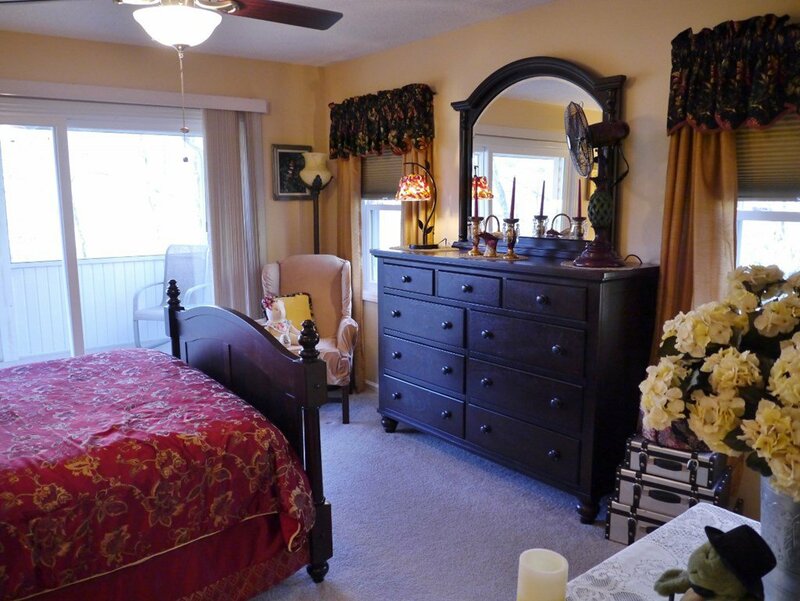 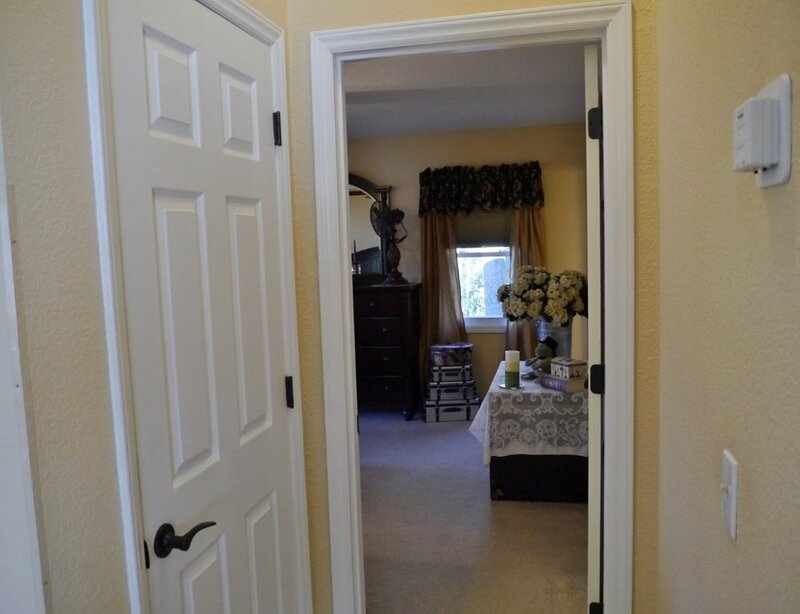 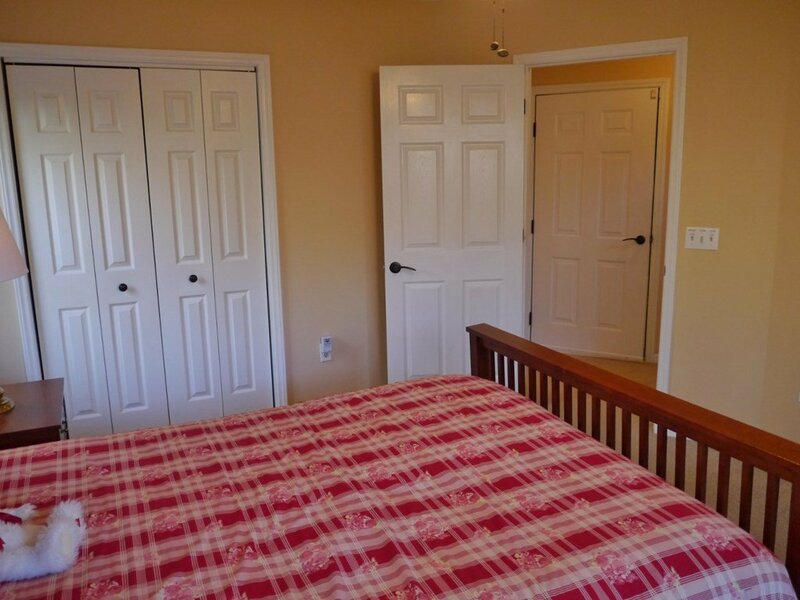 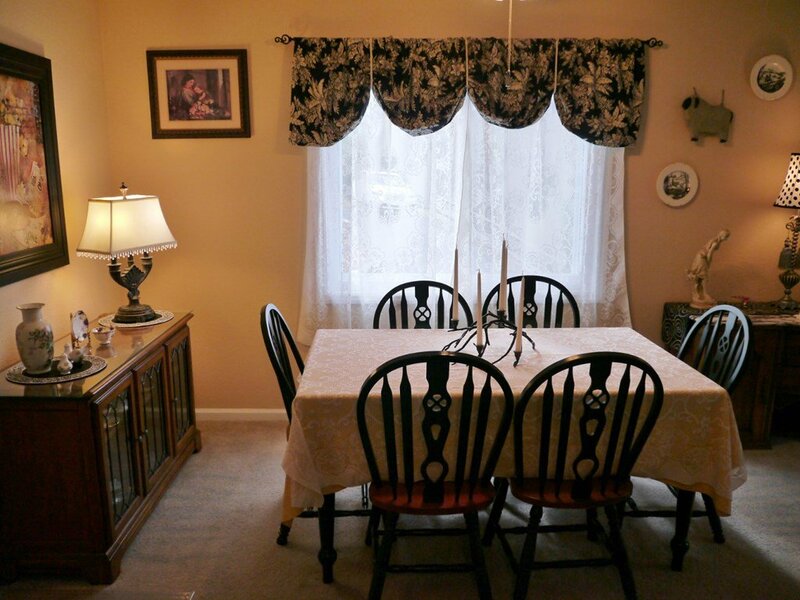 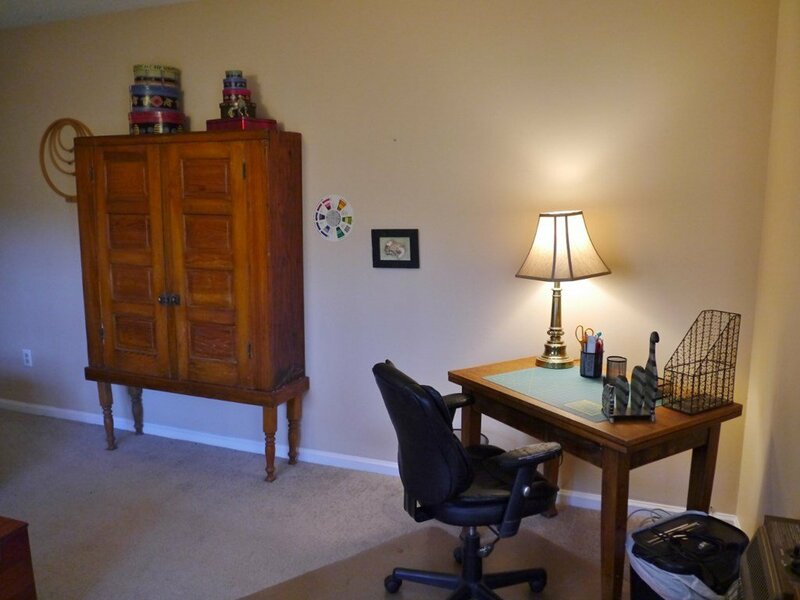 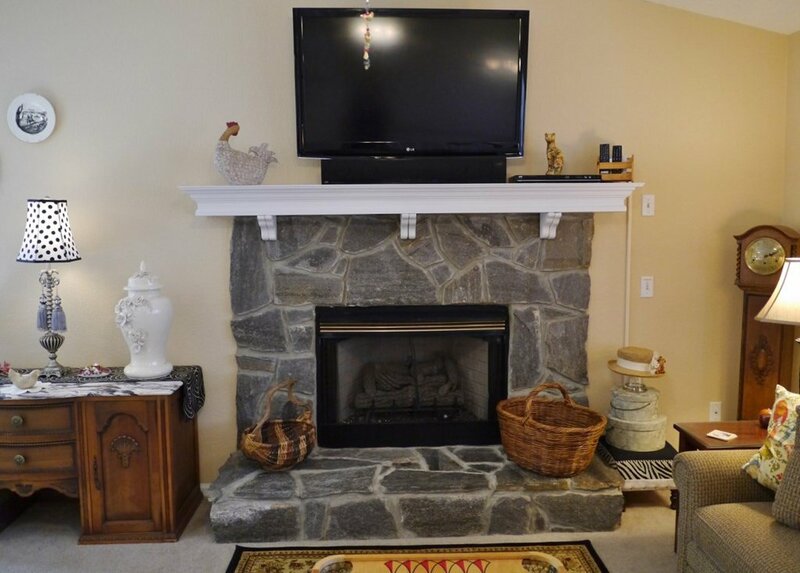 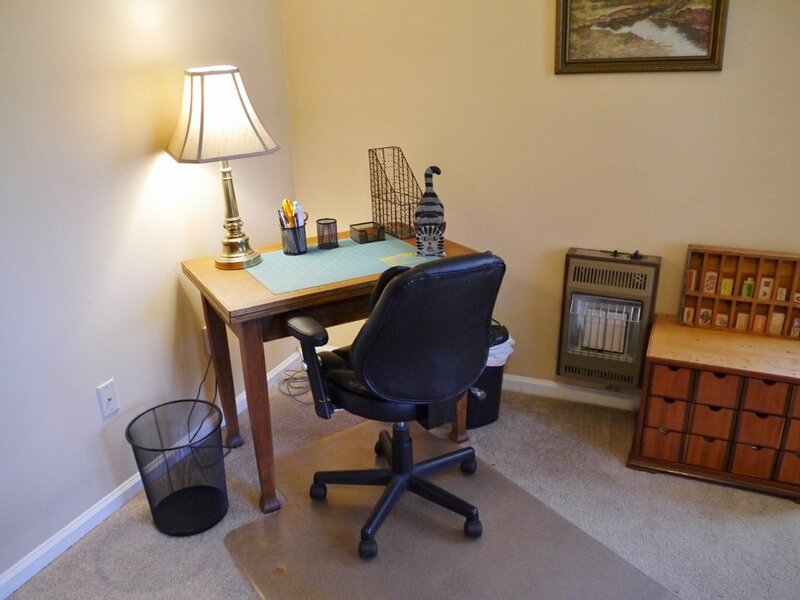 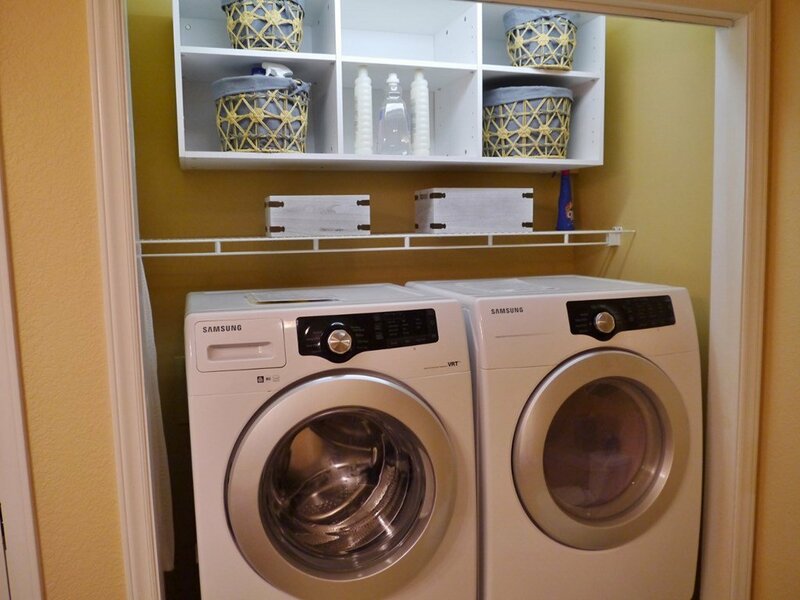 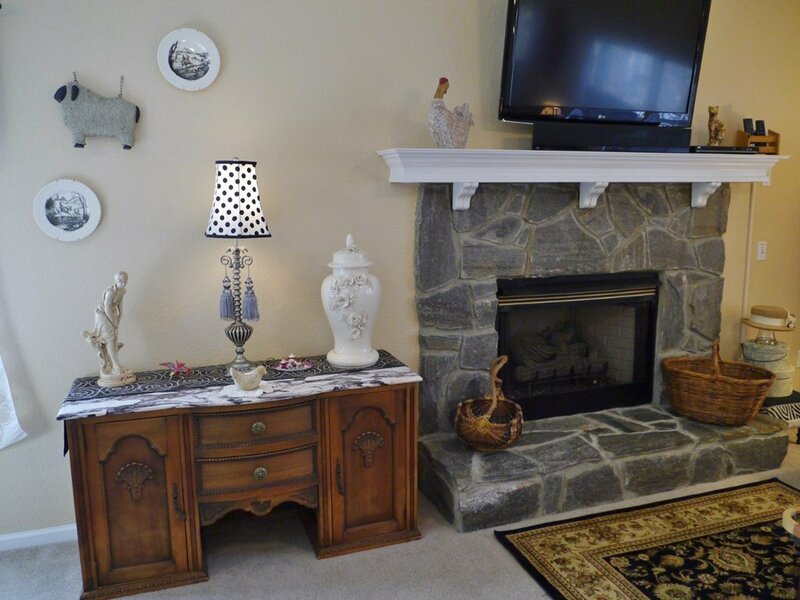 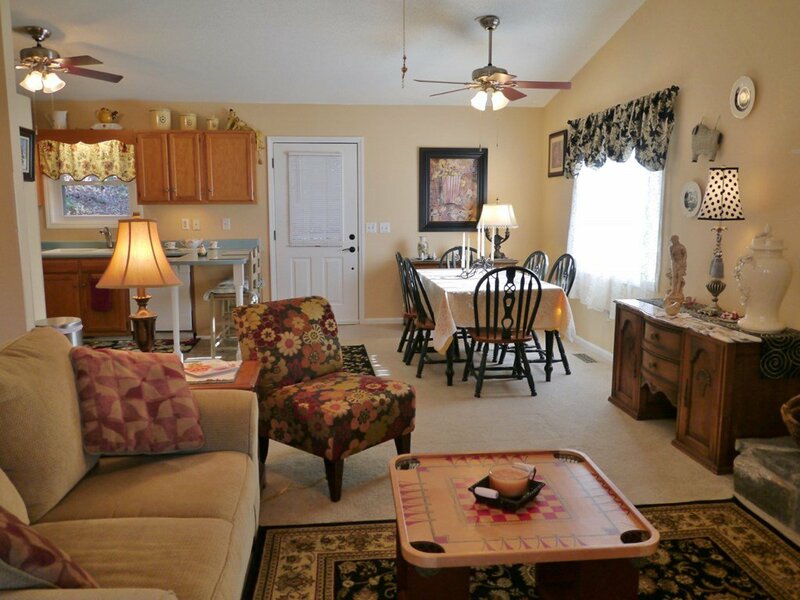 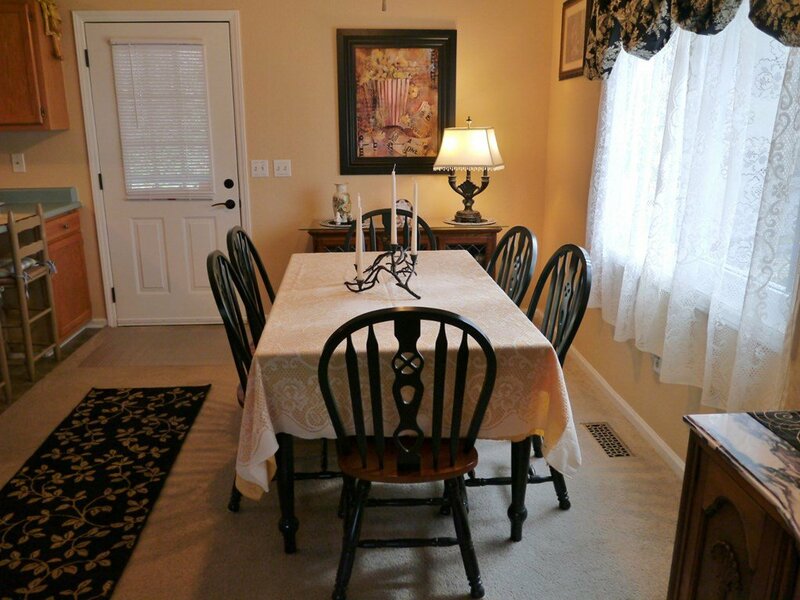 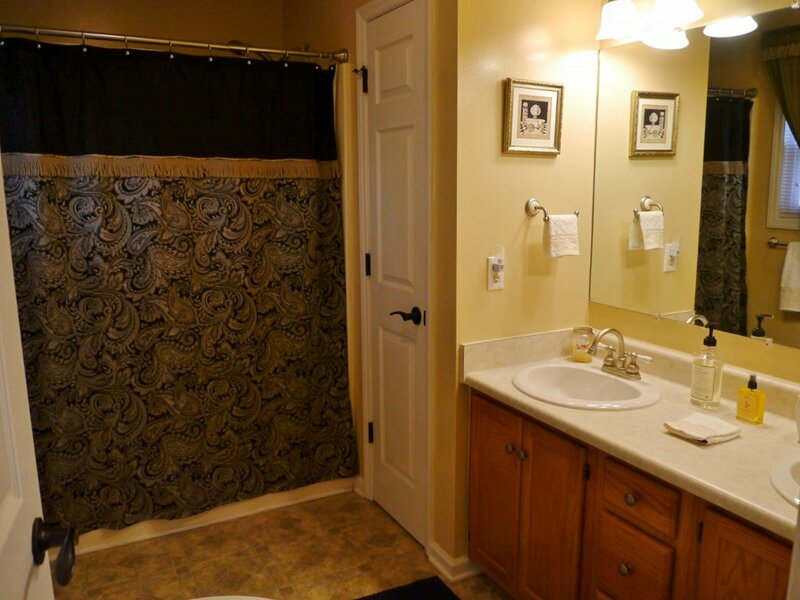 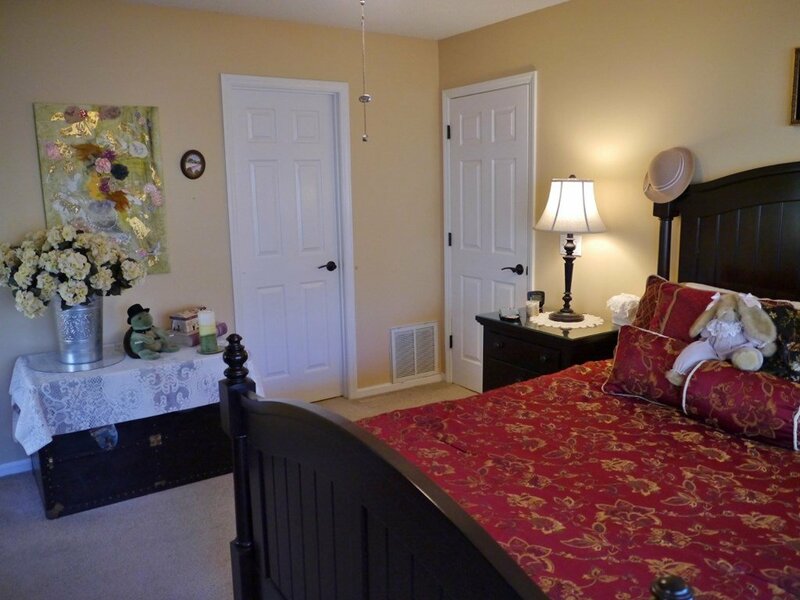 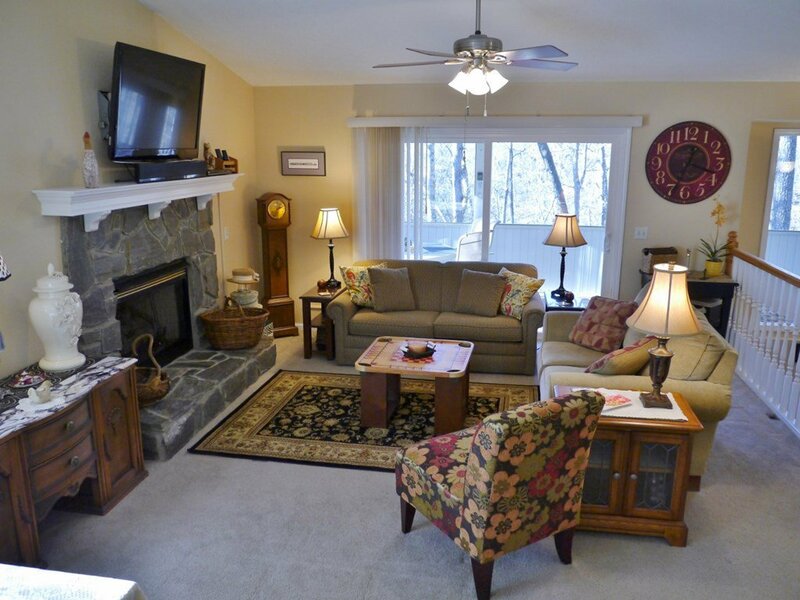 Just pack your clothes and move right into this comfortable, furnished showplace! 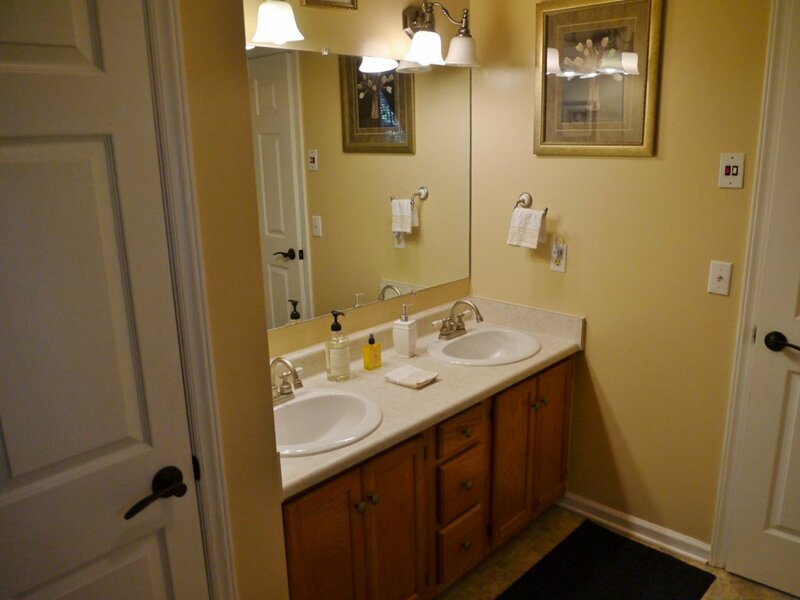 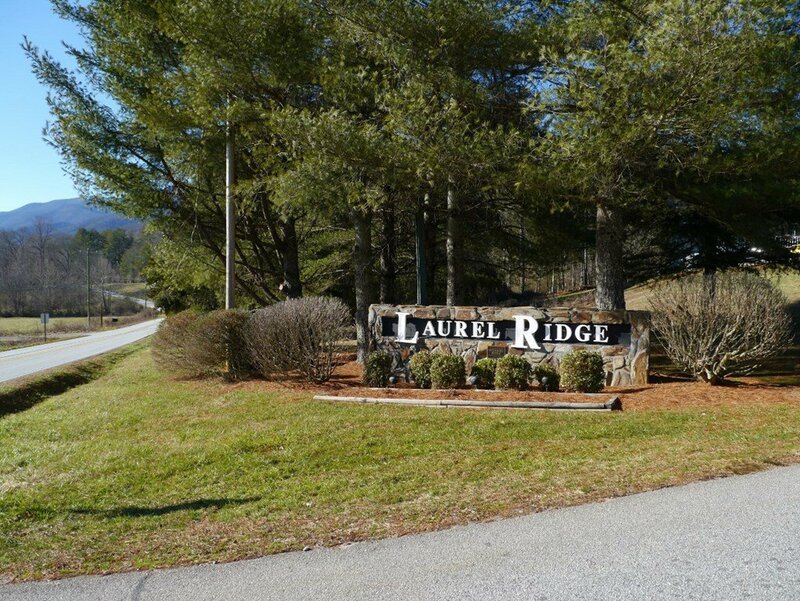 This immaculate home is located in a beautiful, established neighborhood in the desirable Cartoogechaye area of Franklin, NC. 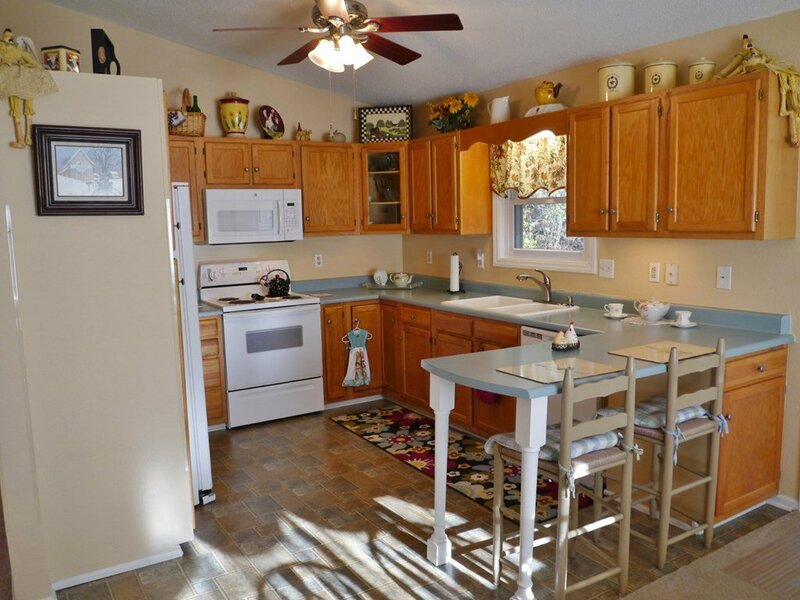 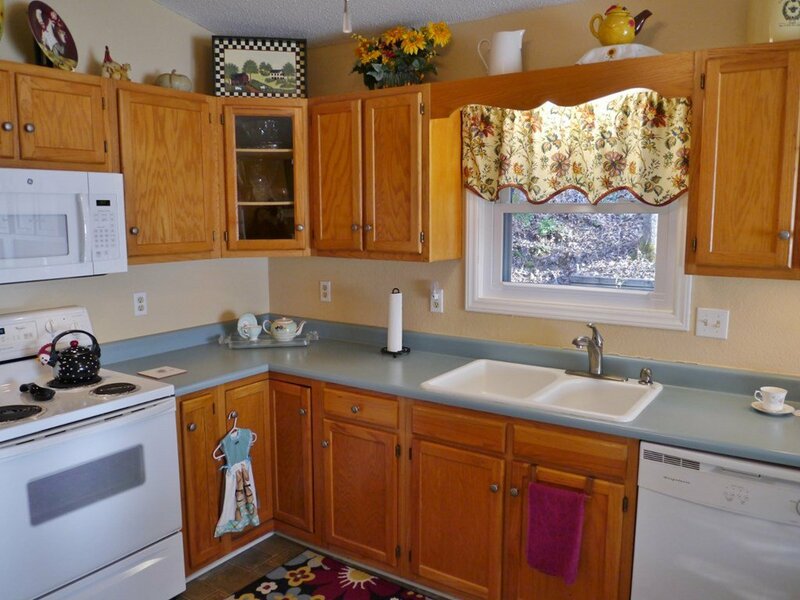 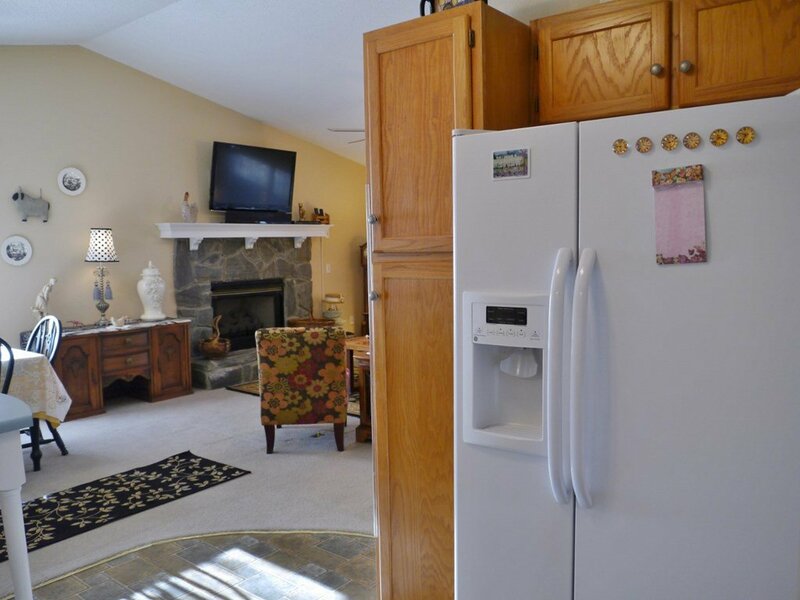 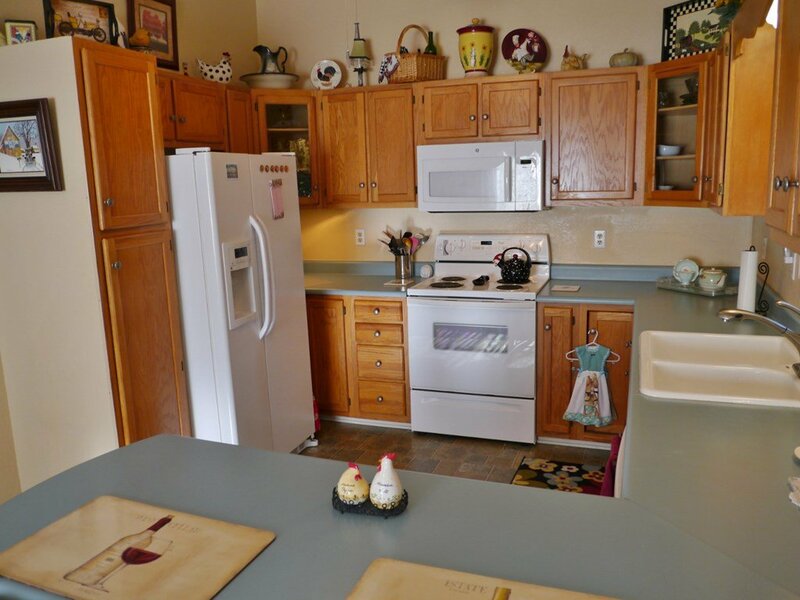 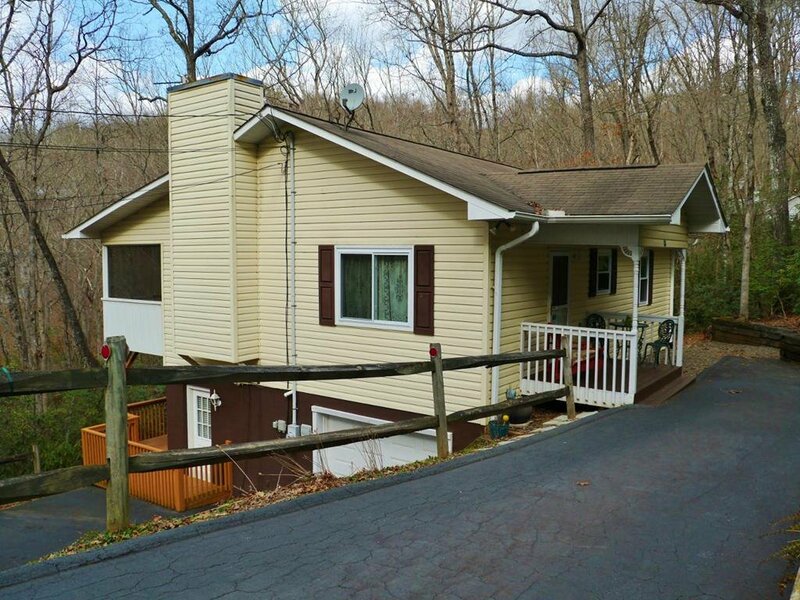 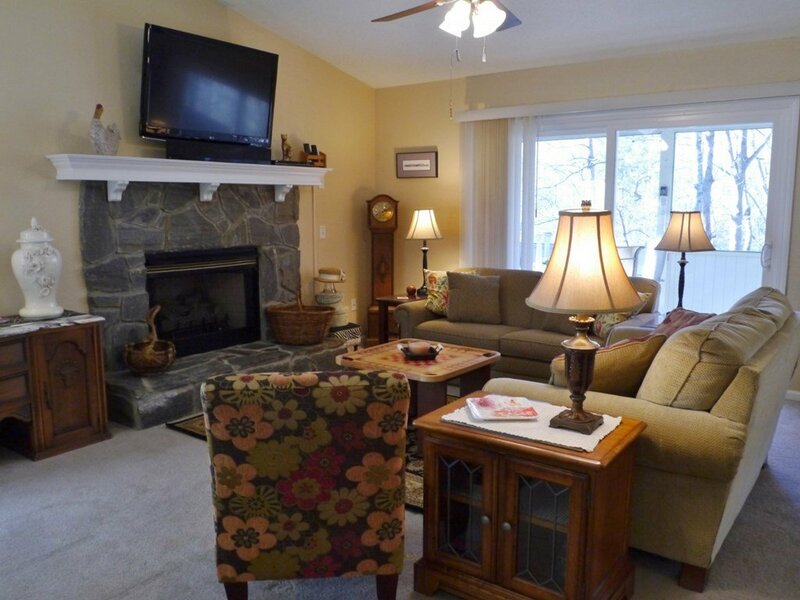 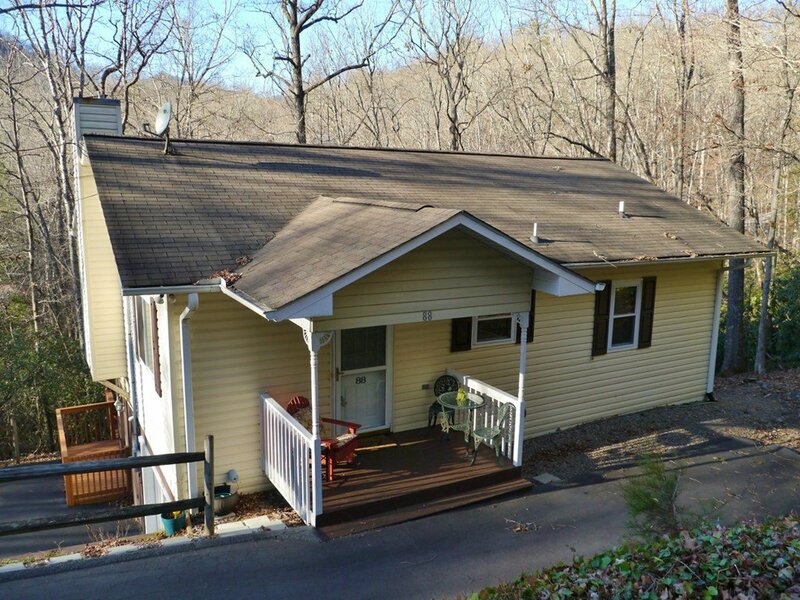 Open floorplan w/ country kitchen, vaulted ceilings and a cozy gas-log fireplace. 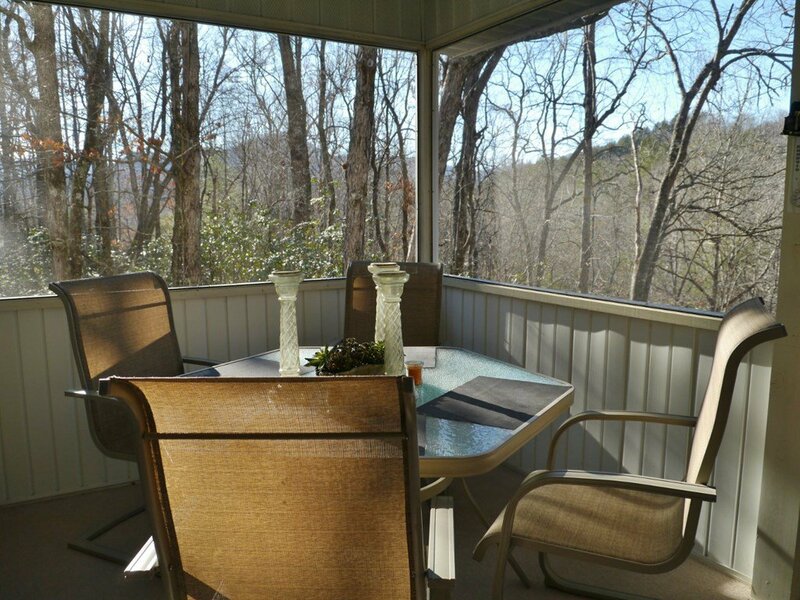 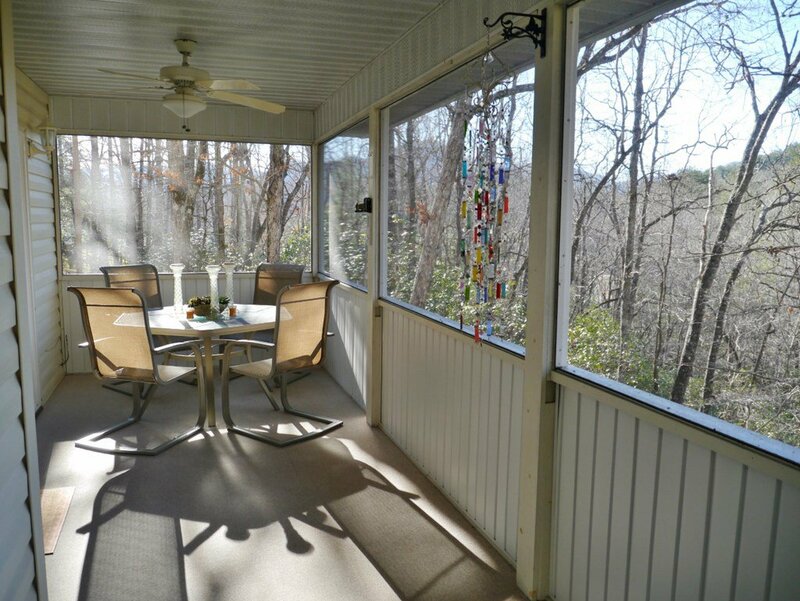 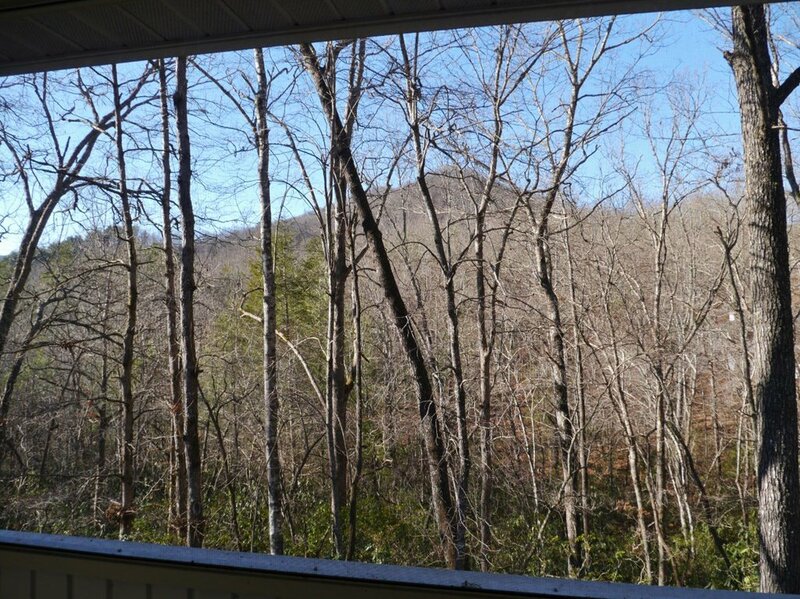 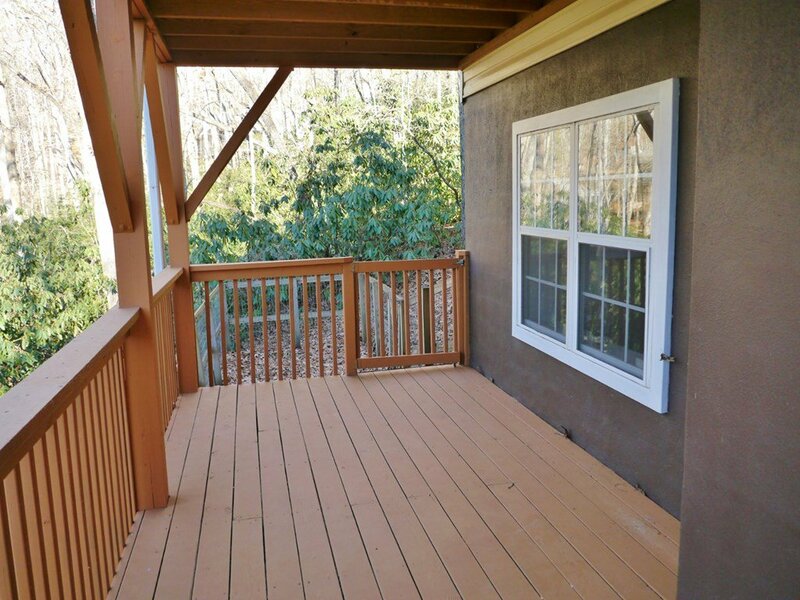 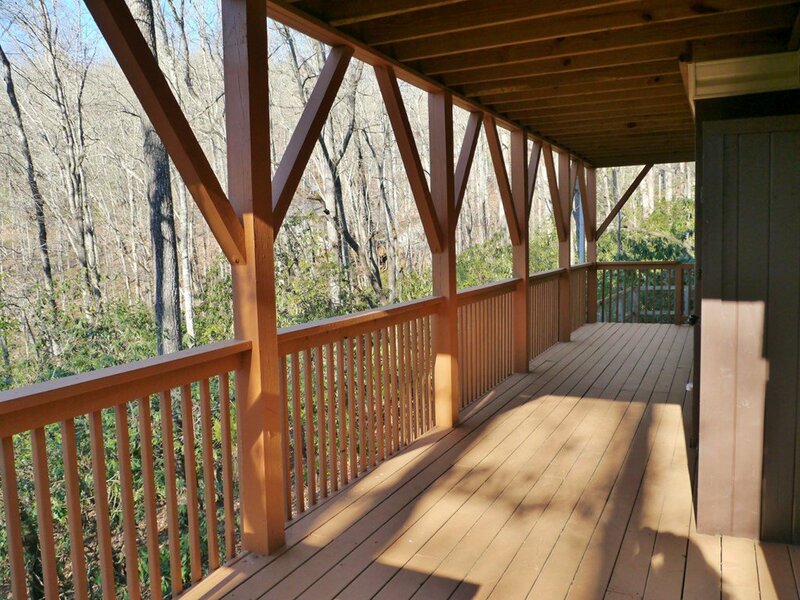 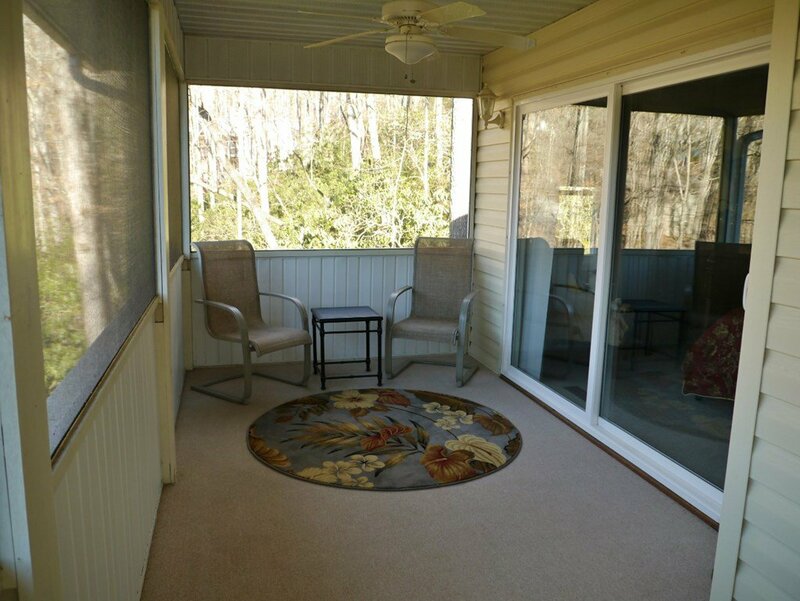 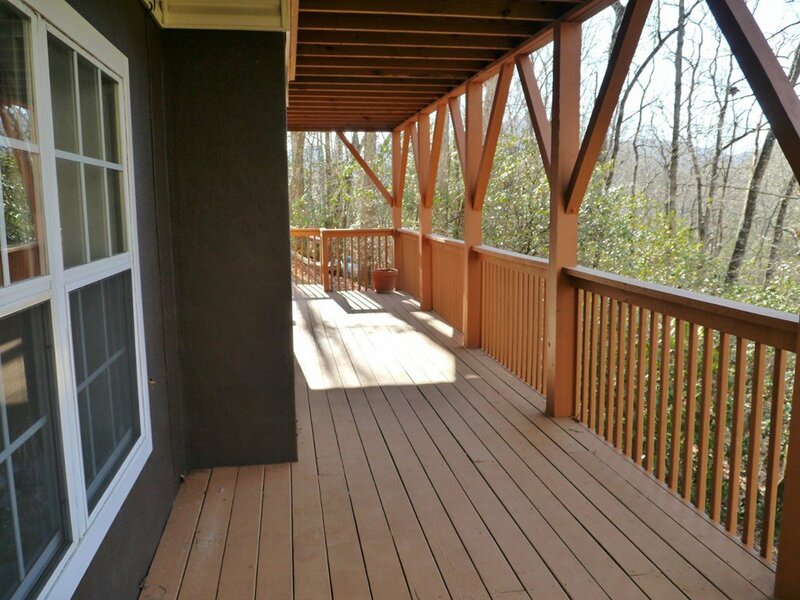 Sip your morning coffee on the HUGE screened porch where the birds will sing to you as you enjoy the pretty and private view. 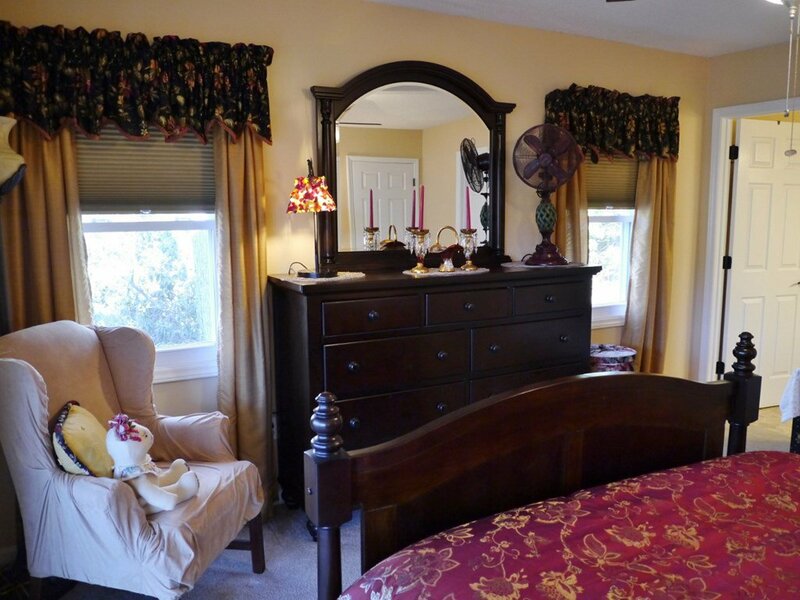 Beautiful master bedroom on the main level features a large walk-in closet, screened porch access, and lovely en-suite bath w/ dual sinks and step-in shower. 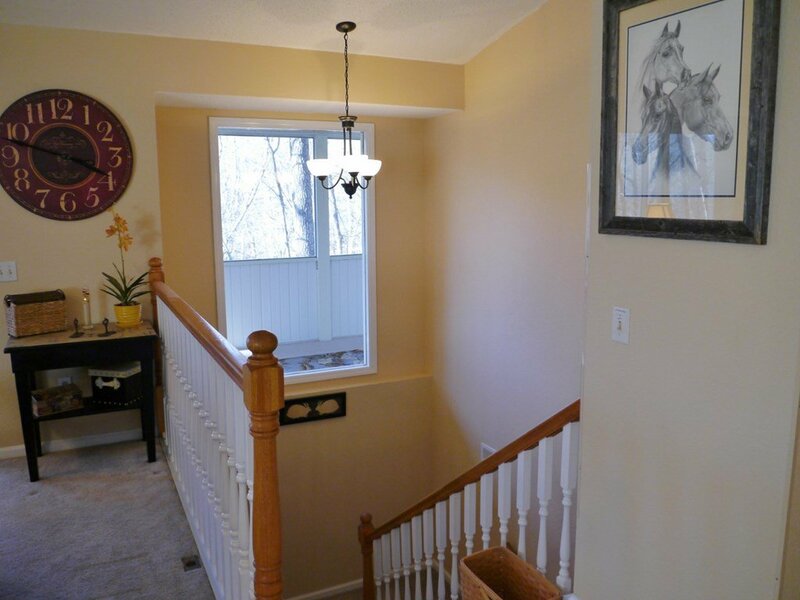 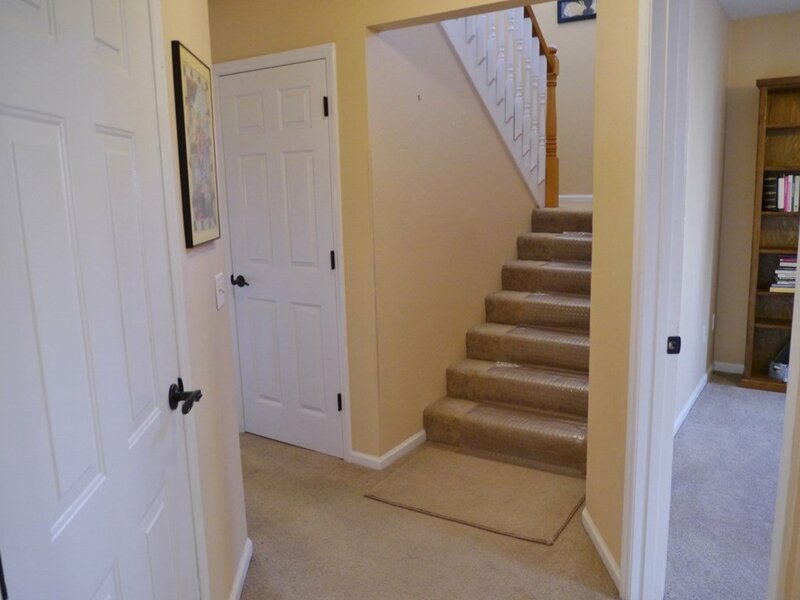 Wide easy staircase to the terrace level where you'll find a guest bedroom, full bath w/tub-shower combo, and a den/office/entertainment room. 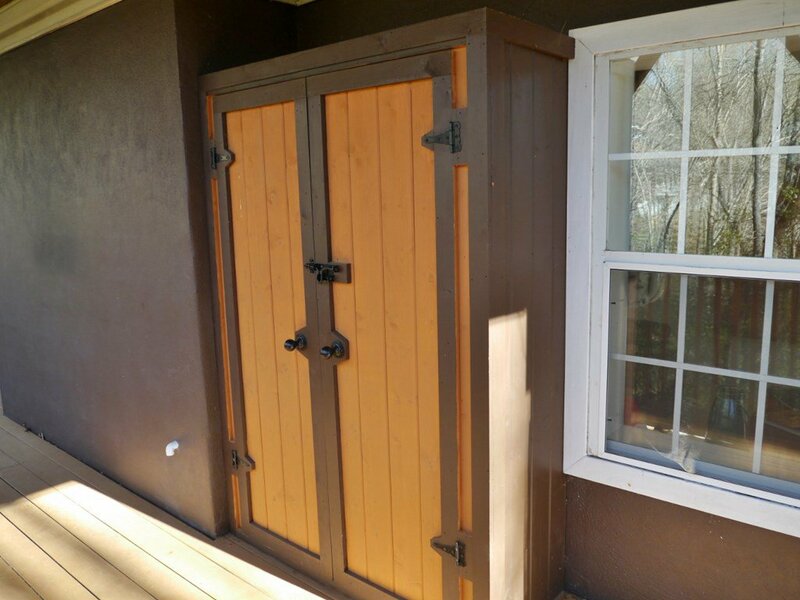 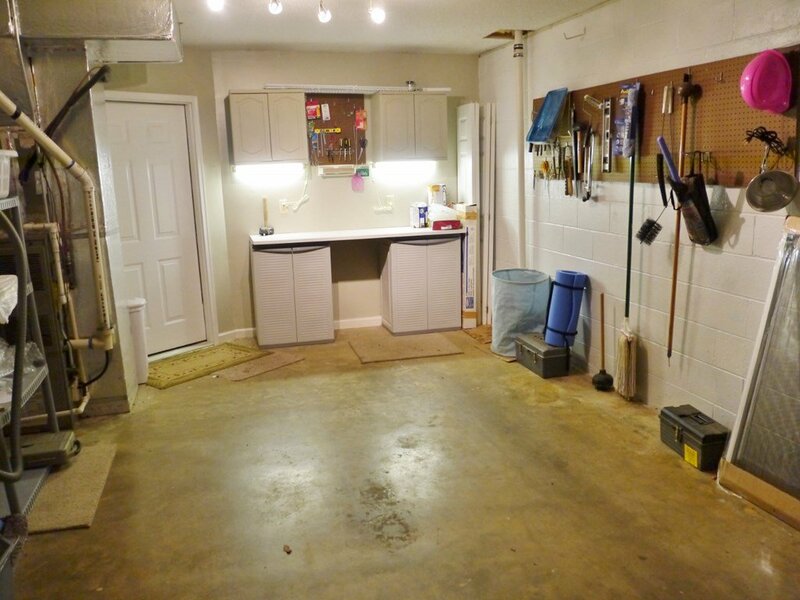 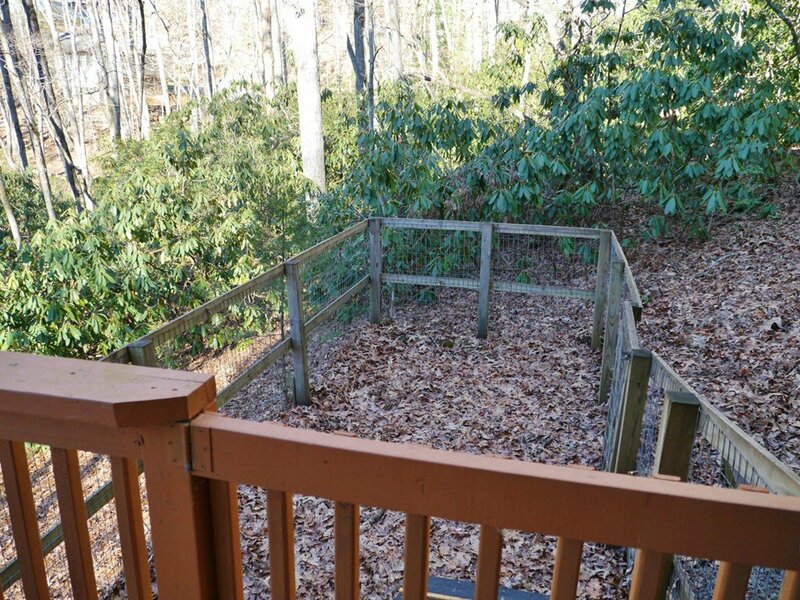 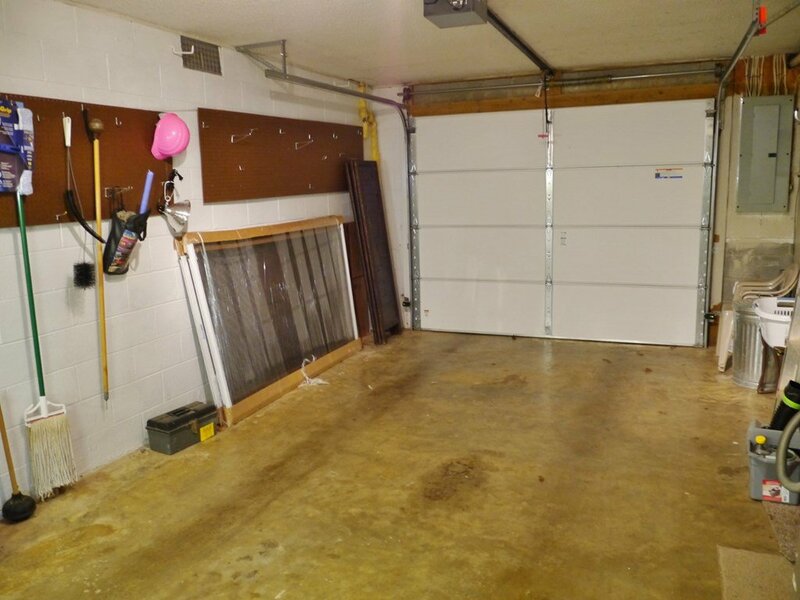 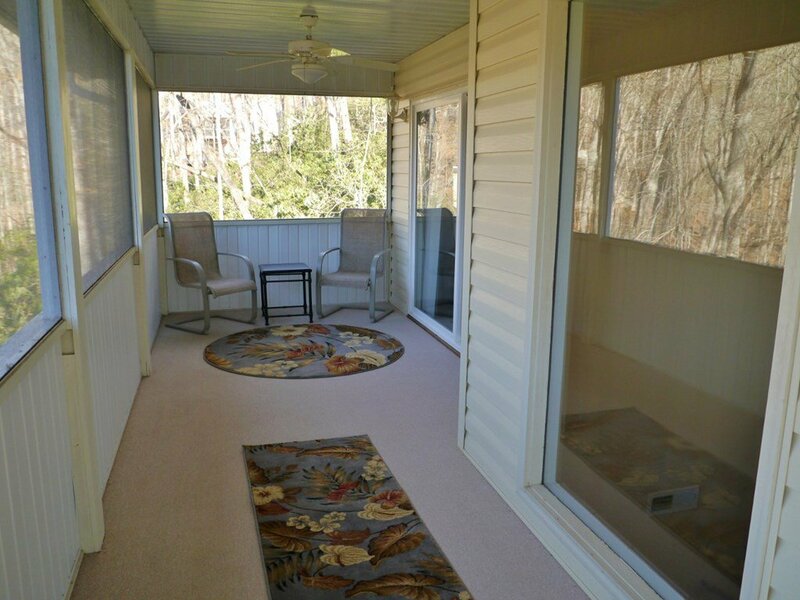 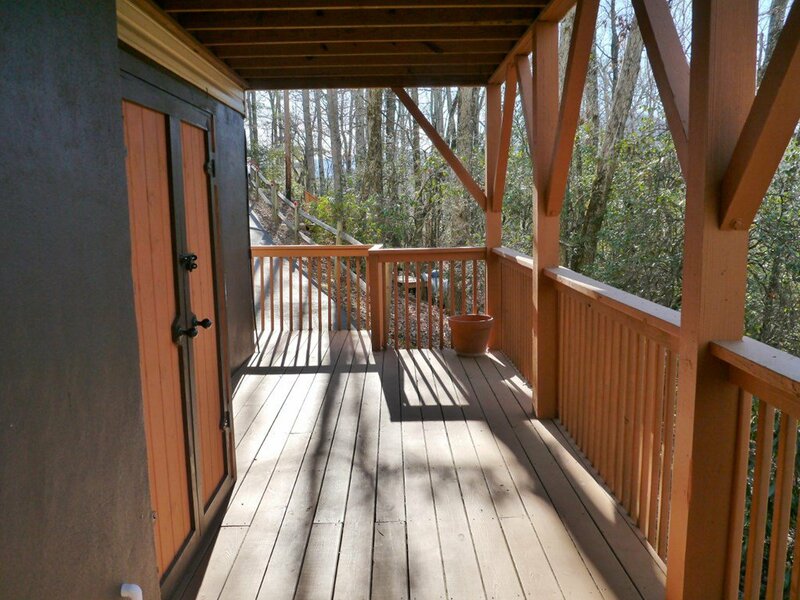 Large covered lower deck with storage cabinet and access to a small dog run. 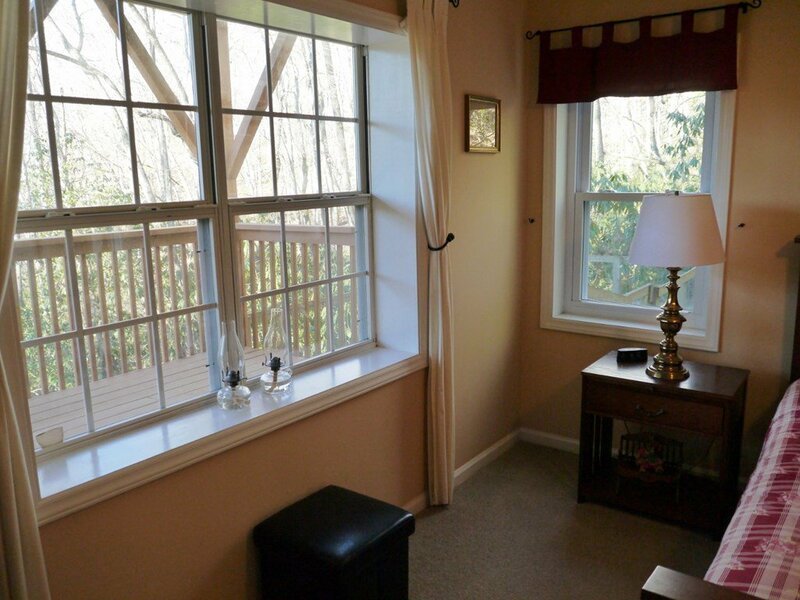 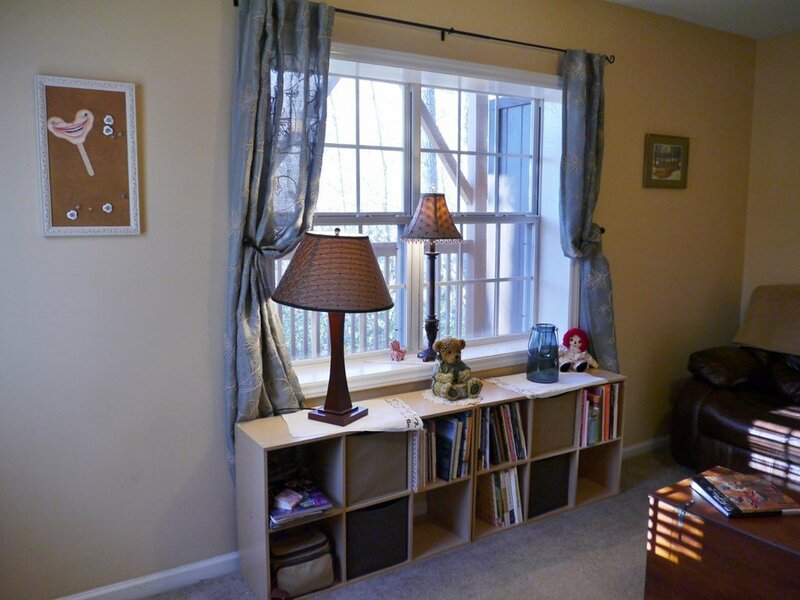 NEW dual-pane thermal windows. 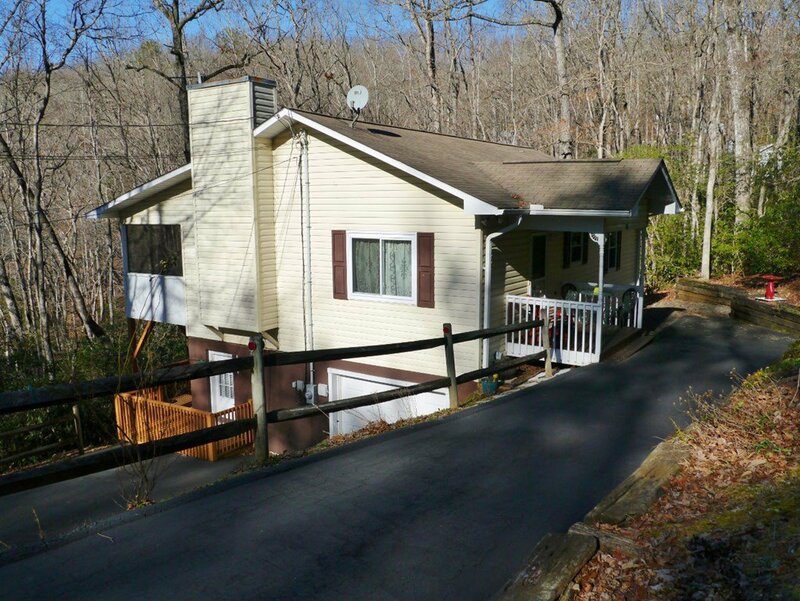 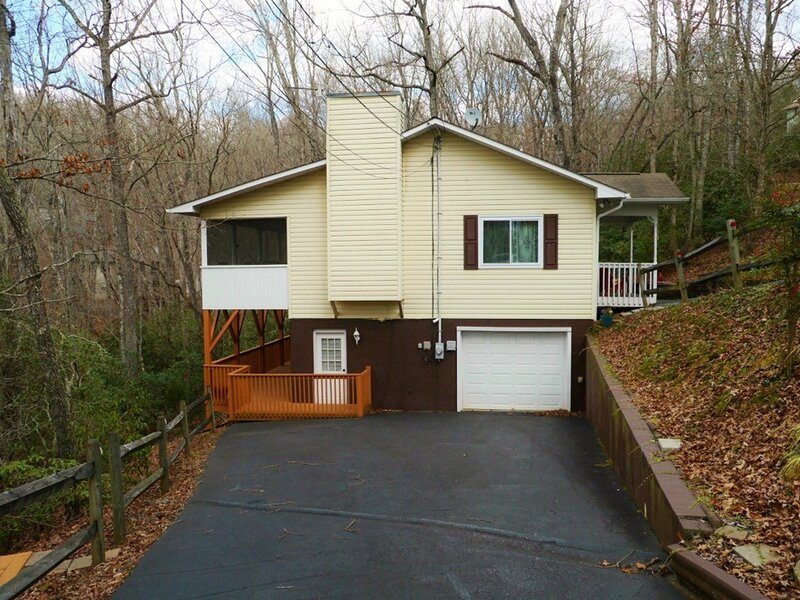 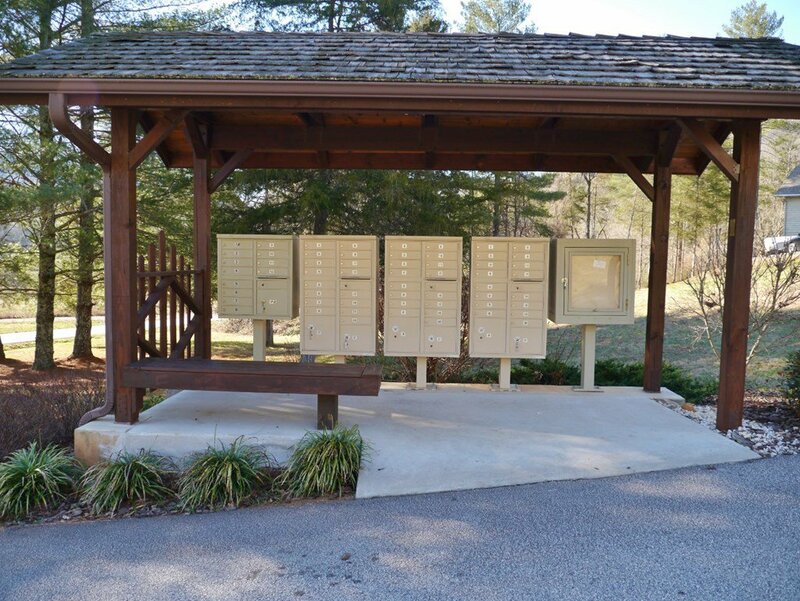 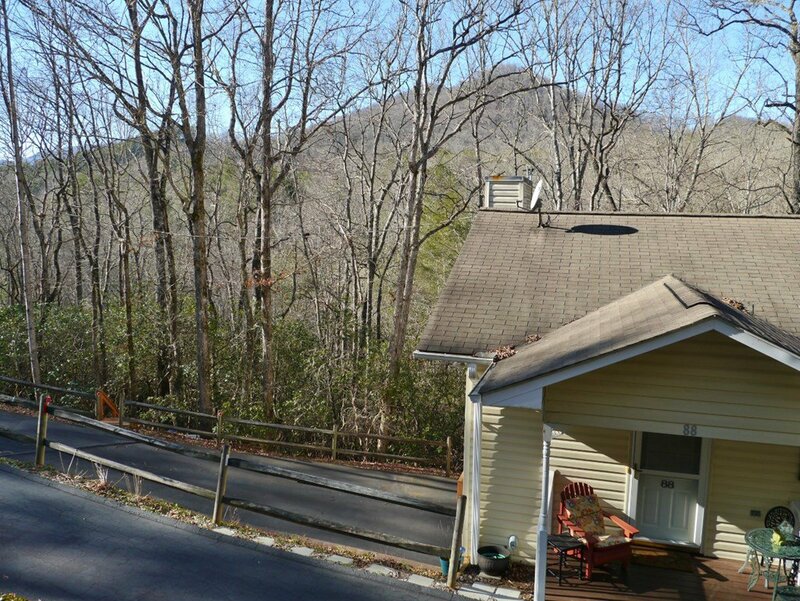 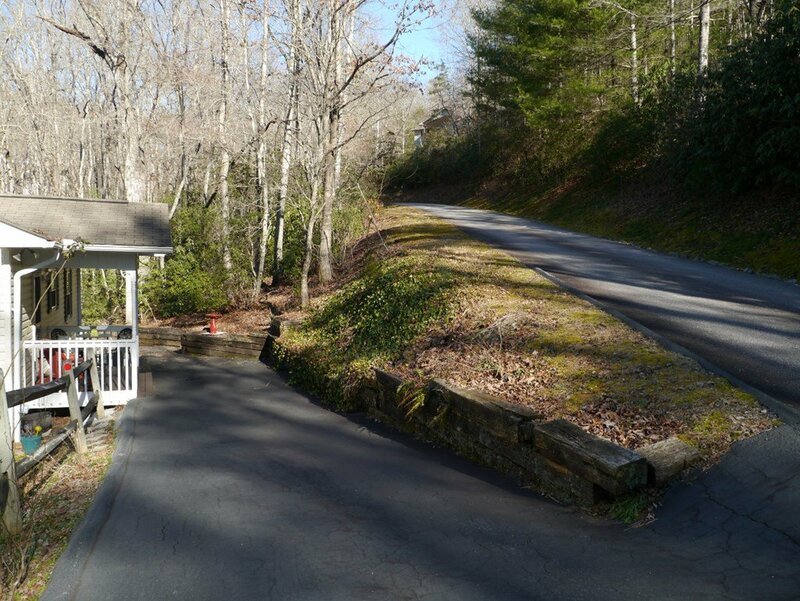 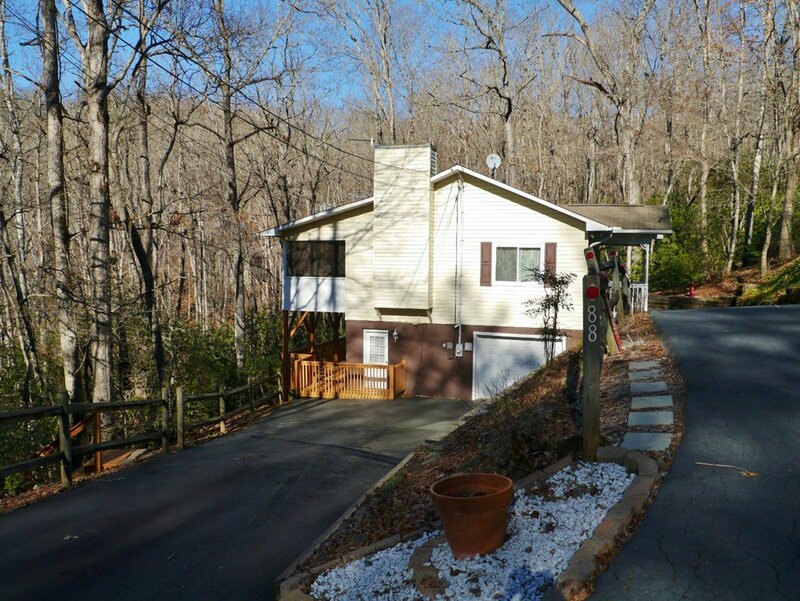 Super-easy access via a paved road w/ dual-level parking and a single-car attached garage. 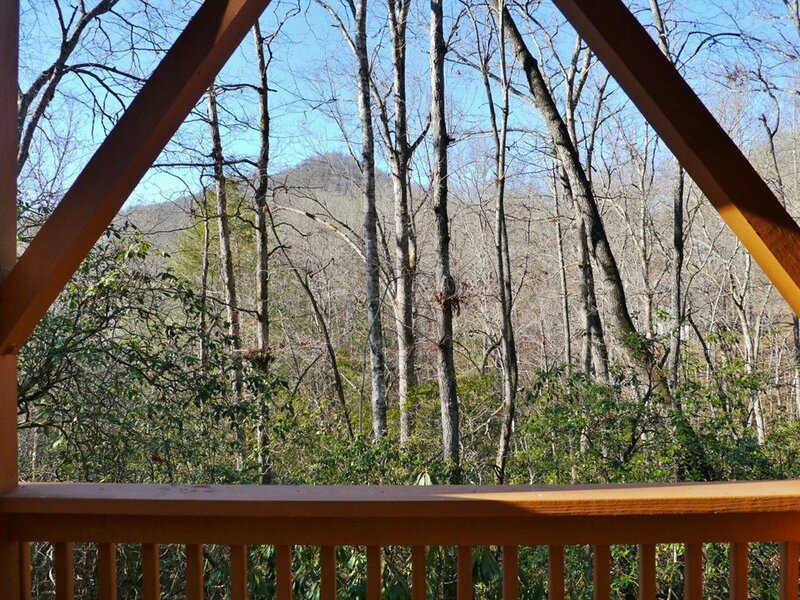 This low-maintenance home was once a vacation rental - it's perfect for a part-time or full-time resident... and there's an excellent neighborhood watch in place for you. 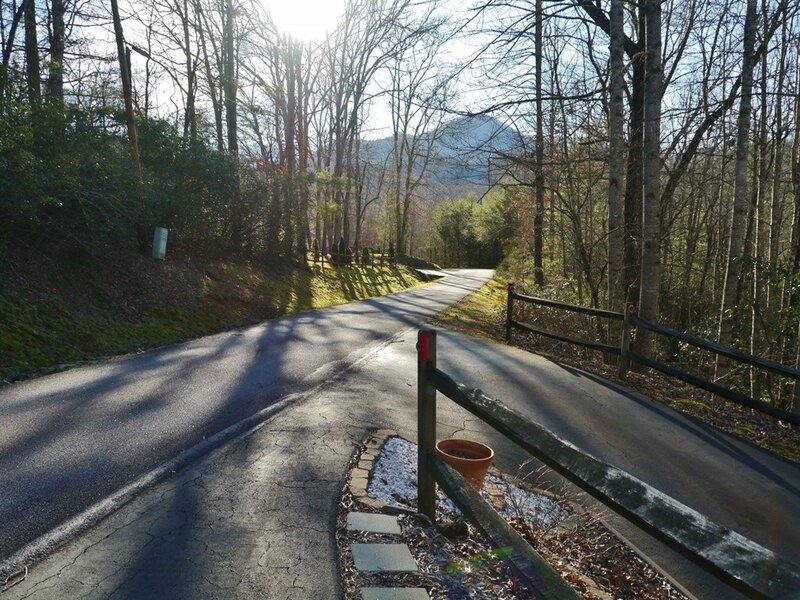 Welcome to easy, peaceful mountain living!